Financial planning involves a holistic review and assessment of a person’s personal finances. This includes income, expenses, investments, goals, protection, taxes, retirement plans, risk capacity and risk tolerance. Once assessed, a financial planner develops a strategy, or financial plan, for the person based on where they currently stand and what their goals are. – A comprehensive budget including all income sources and expenses. – An assessment of current assets, such as your home or retirement accounts, along with current liabilities, such as a mortgage or car loan. – Assessment of current financial protection acquired through life, auto, and/or health insurance. – A detailed description of goals and the necessary yearly savings and returns to accomplish them. The idea of a financial plan is not only to show a person(s) where they currently stand and what they need to do to optimize or improve their situation, but it will explore recommendations or changes that need to be made to their current situation in order to effectively make progress and move towards their goals. The Certified Financial Planner Board has created practice standards that look to create a process for financial planners to follow. They include establishing and defining the relationship with the client, gathering client data, analyzing and evaluating the client’s financial status, developing and presenting the financial planning recommendations, implementing the financial planning recommendations, and monitoring the plan. 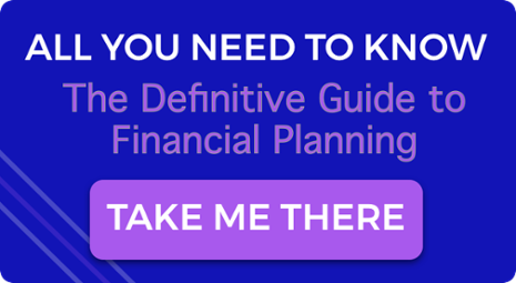 For more information on financial planning, check out our Definitive Guide to Financial Planning. Donna is Zoe's Marketing Manager.